We were recently in Queens, New York and waiting for the birth of our first grandchild. We arrived in New York on the baby's due date but the baby was too comfortable where he was. Baby's mom, Nicole, was told to walk as that might help to get things going. Baby's dad, Joe, had a great idea of spending a couple of hours walking around the Museum Of The Moving Image in Astoria. Queens. Joe and Nicole have been here before but it was mine and Soko's first time. We really enjoyed all the museum had to offer. There were so many interesting exhibits here. Some are permanent and some are temporary. The first exhibit we came to was Jim Henson's and his Muppets. This was a temporary exhibition at first, but the museum decided to make it a permanent fixture and I don't blame them. We probably spent at least a good hour here getting to know Jim Henson and the crew. Jim Henson was in a class of his own when it came to creating his magical world of puppets. I remember feeling such a loss when he passed at such an early age. 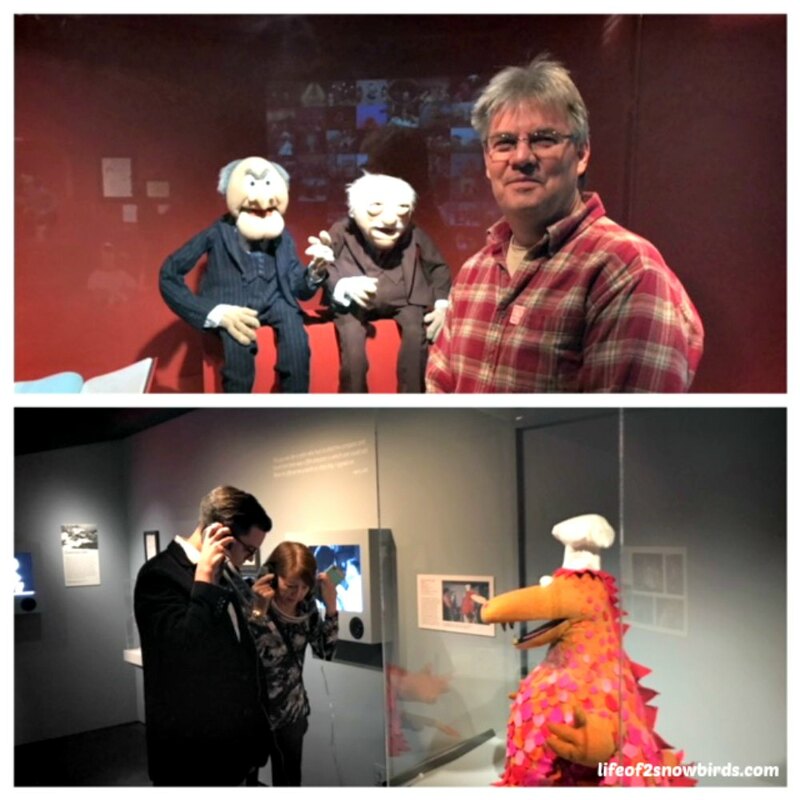 Exploring this exhibit brought back all the memories of how fun it was to have Jim Henson around to bring such wonderful characters to life for us. I first knew Jim Henson when our kids were old enough to enjoy Sesame Street. They loved it and it was where they found out that "C is for cookie" among other things. Nicole adores Miss Piggy and was thrilled for her when she finally married Kermit the Frog in The Muppets Take Manhattan, just one of several muppet movies Jim Henson and his buddies produced. We looked forward to watching The Muppet Show every week. It was equally entertaining for us adults as it was for the kids. You could always count on Statler and Waldorf to be there heckling from their balcony seats. 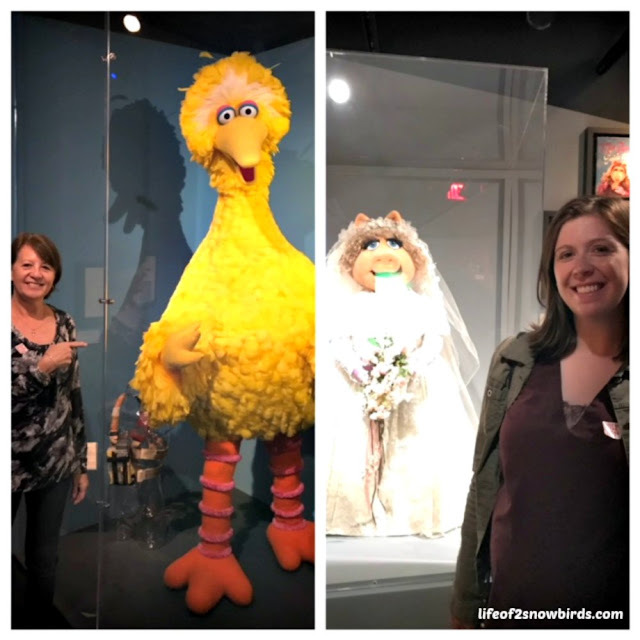 Something I didn't realize and just learned from our visit here was that some muppets were stars of television commercials before there was a Sesame Street. The guy me and Joe are checking out is Delbert the La Choy Dragon. Frank Oz was the puppeteer while Jim Henson was the voice. Fraggle Rock, a wonderful high energy, musical program that dealt with serious issues, was another Jim Henson hit. Most of the items making up this exhibition came from family donations. 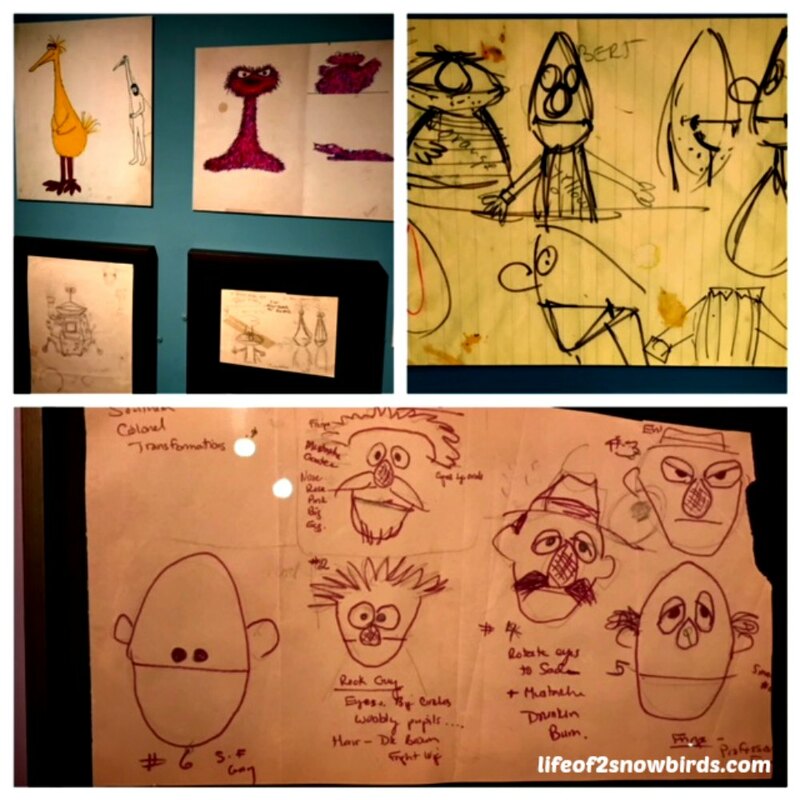 We especially enjoyed his early sketches of some, now famous, muppet characters. I love the one of Jim Henson picturing himself puppeteering Big Bird. We had a great time with the interactive experiences available here. 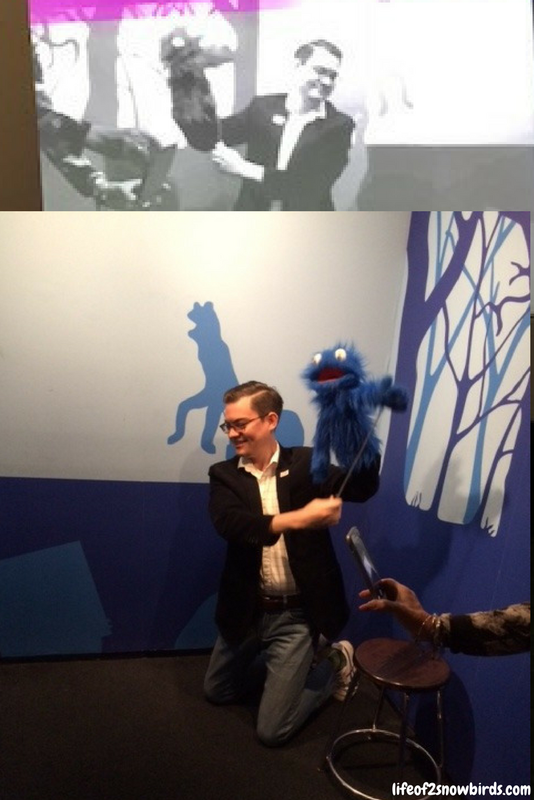 Joe tried his hand at puppetry. 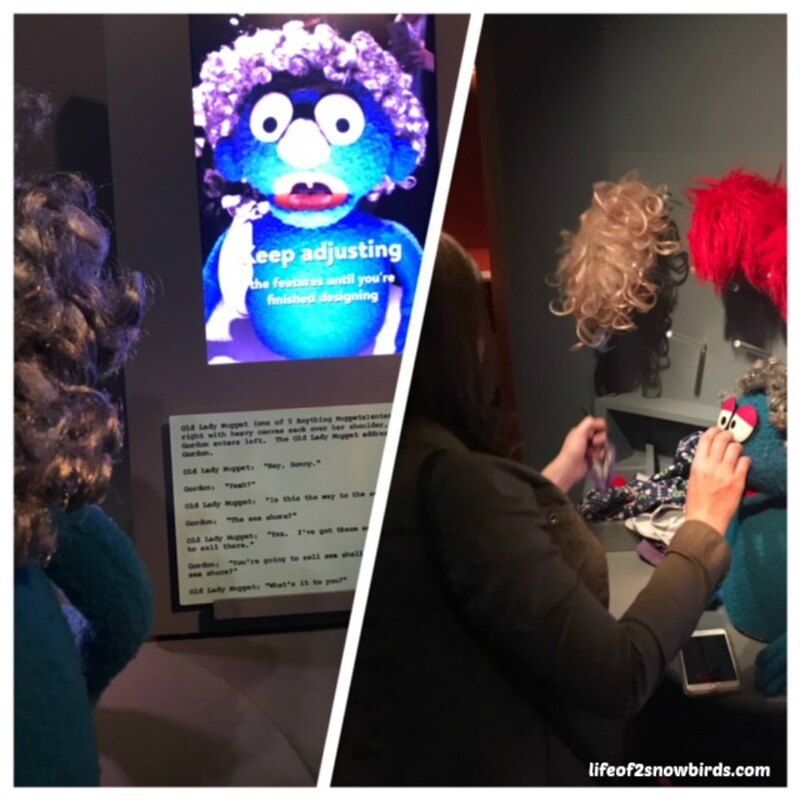 He was able to watch himself on a small screen as he moved the puppet to match the audio portion of the movie he was creating. Me and Nicole took a shot at creating a new muppet. We got to choose a card with a description of a character needed in a Sesame Street skit and tried to make a muppet to fit the description. I chose to create the Old Lady needed to interact with Gordon. Nicole chose the Salesman that's trying to sell Maria a vacuum cleaner. 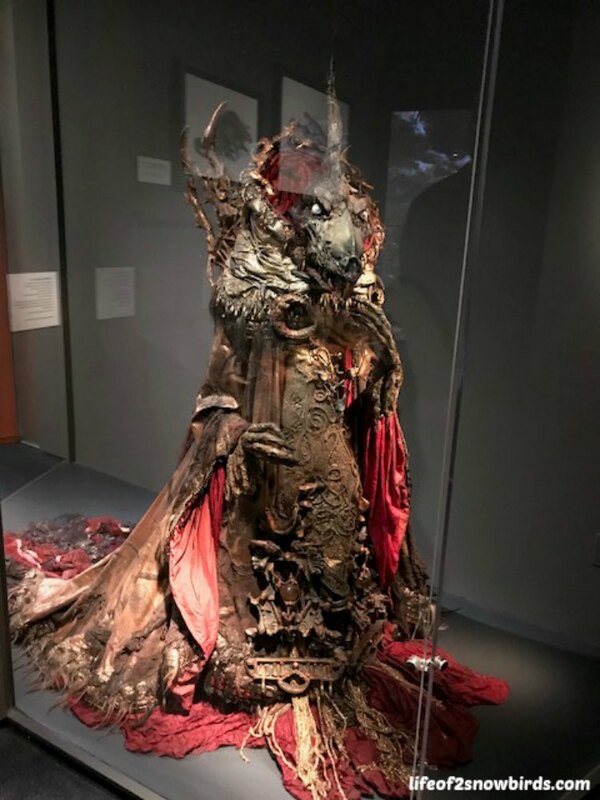 Two of our family's favorite movies are Labyrinth and The Dark Crystal. We were delighted to see the collection of items the museum had on display from these movies. 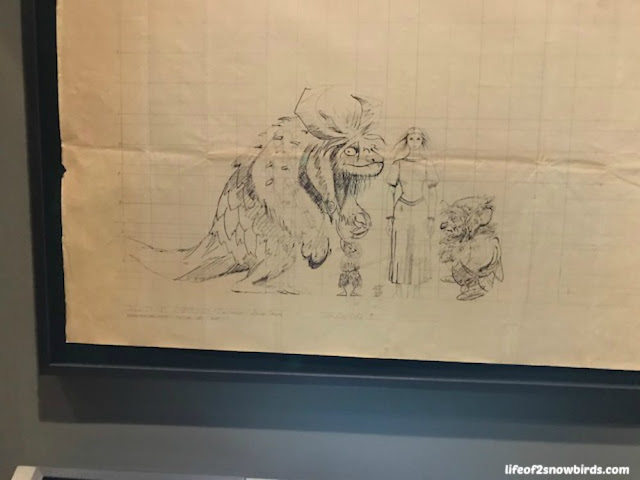 The vision of the cast of characters for Labyrinth. If you look closely, you can see how the puppeteers were sketched inside the puppets. 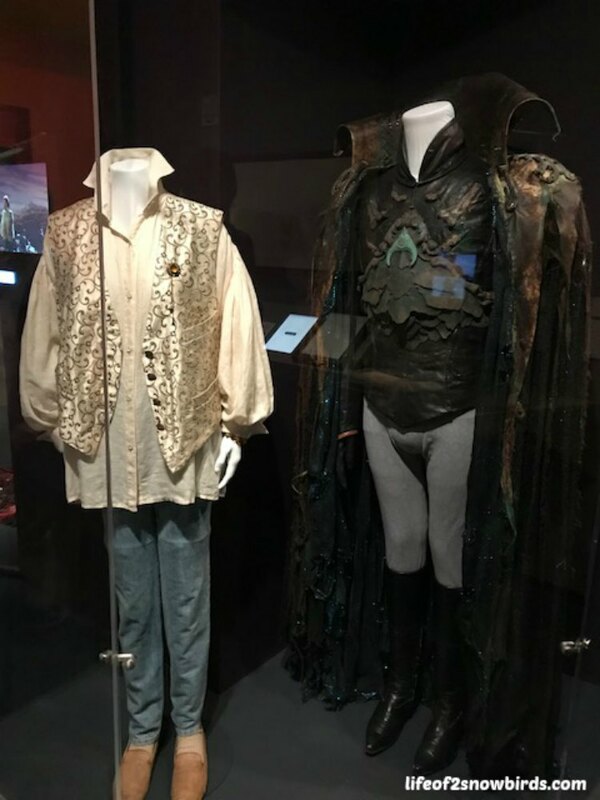 These are the costumes that were worn by Sarah (Jennifer Connelly) and Jareth the Goblin King (David Bowie) in the movie, Labyrinth. I loved David Bowie in this movie. He fit the character so well. It was so much so interesting to get a glimpse of what goes on behind the scenes. We now have a better appreciation of what uncomfortable situations the puppeteers have to be in to get certain shots for the movie. I am in awe of their talents after our visit here. Jim Henson was the puppeteer of the SkekZok character from the Dark Crystal but the monstrosity of a puppet needed more than one person to animate it. There would be a cable crew of up to four people who would control the movements of the hands and face with cable controls hidden under the garment of the creatures. Hi Cathy! Boy, I LOVED this blog post...I feel like you that it was just so devastating and unbelieveable when Jim Henson died. 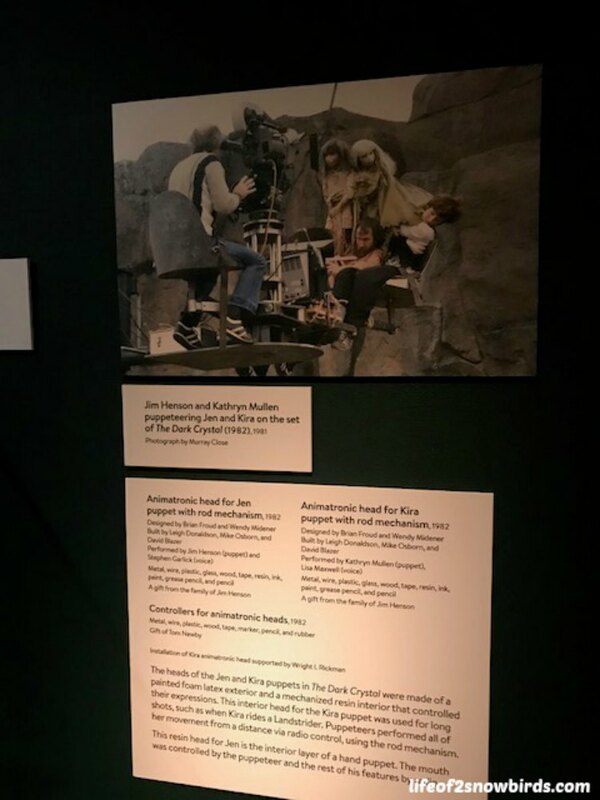 I am glad that his memory and accomplishments are being recognized at the "Museum of the Moving Image". I am happy to hear that this exhibition is permanent. My daughter lives in Brooklyn...I only get to visit her about once a year from Alabama but I am going to put this on my list on things to do the next time I go visit. Our whole family still uses quotes from the first Muppet Movie. 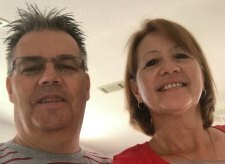 I have been retired for a year and my husband is retiring in 3 months. We are looking forward to traveling abroad and in the U.S.while we still have good health. Did that grandbaby decide to arrive? Hi Kitty, I really enjoyed reading your comment! I hope that you will get a chance to visit your daughter and this museum soon. 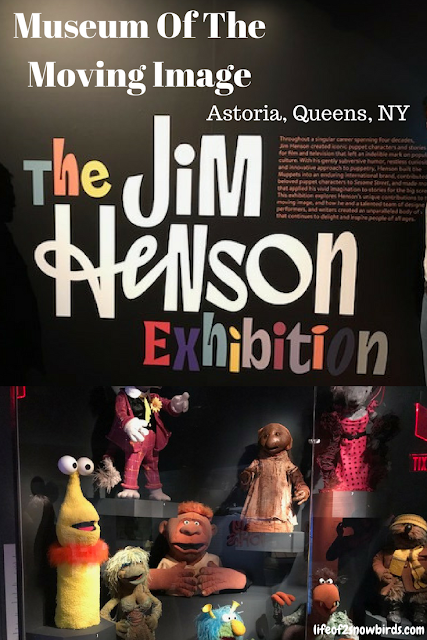 It really is a must-see for Jim Henson fans and the rest of the museum is lots of fun also. Thank you for asking, yes, our grandson arrived a week late and actually had to be induced out! I truly hope this exhibit comes my way, I would be there in a heartbeat! Thanks for sharing on To Grandma's House We Go! It really was wonderful. I hope you get a chance to see it! Such a fun museum! I love Jim Henson and grew up watching The Muppets and all their movies and Fraggle Rock was one of my all time favorite shows. Yes! 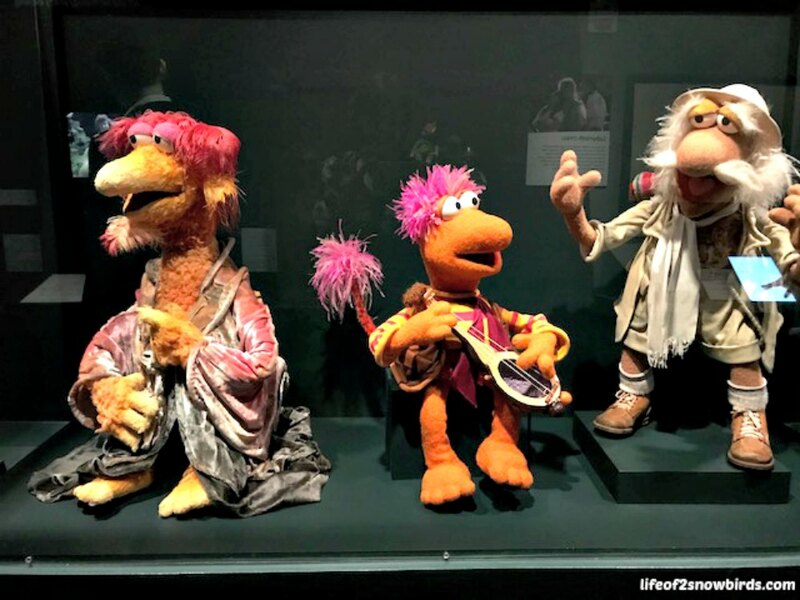 The Muppet movies and all the shows were so much fun for kids of all ages! Miss Piggy was my daughter's favorite character. I still have her bedding from when she was a little girl, lol. My granddaughter uses it when she visits. Thanks for sharing on Sunday's Best. I love that you still have your daughters bedding!